1. 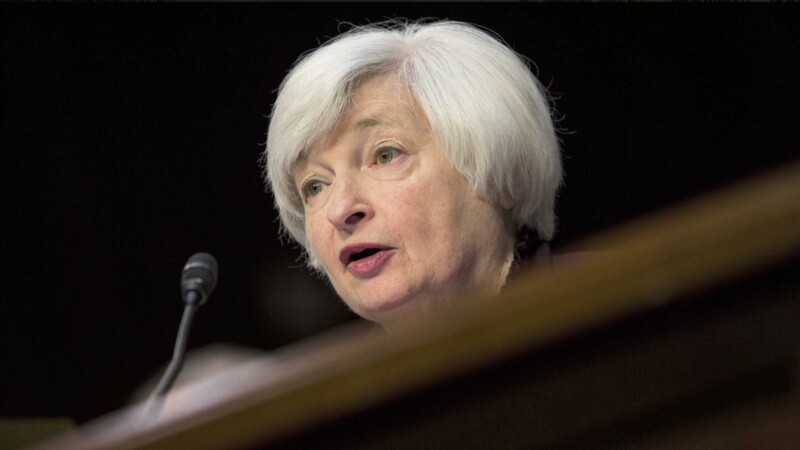 Ready for the Fed: The Federal Reserve is the main focus in the markets right now. Policymakers wrap up their two-day meeting Wednesday and Fed chair Janet Yellen is expected to deliver her remarks about the state of the economy at 2 p.m. ET. The Fed has been cutting back on its economic stimulus program over the past few months and this is expected to continue. But Fed watchers are mostly interested in how long interest rates will stay at record low levels. 2. Premarket moves: U.S. stock futures were barely budging ahead of the open, though there was a slight negative bias in the markets. The CNNMoney Fear & Greed index was edging into 'fear' territory. Adobe (ADBE) was the main mover in premarket trading. Shares were declining by about 4% after investors expressed disappointment with the firm's latest set of quarterly results. In Tokyo, Sony (SNE) announced after the markets closed that it would lose about $2.1 billion this year as its smartphone business bleeds. 3. Earnings: FedEx (FDX) and General Mills (GIS) will report earnings before the opening bell. Pier 1 Imports (PIR) will report after the close. 4. Inflation data: New official stats show the eurozone region continues to struggle with dangerously low inflation. Annual inflation was just 0.4% in August, unchanged from July and still miles below the European Central Bank's target of nearly 2%. The ECB has cut interest rates as low as they can go, and announced limited asset purchases to stimulate economic activity. 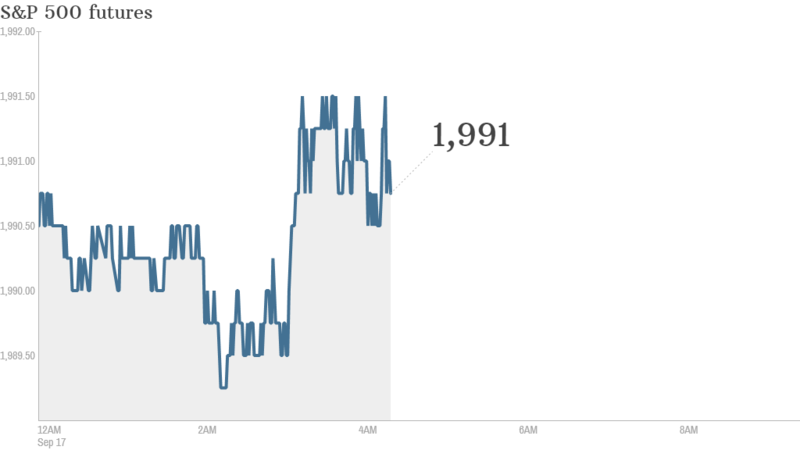 Consumer price data in the U.S. will be out at 8:30 a.m. ET. 5. International markets overview: European markets were making broad gains in early trading. However, the FTSE 100 in London was dragging its feet. British markets have been weighed down lately as investors worry that Scotland may break away from the United Kingdom. China's main indexes chalked up gains after it was reported that the central bank pumped about $81 billion into the banking system to support growth. 6. Tuesday market recap: In the previous trading session, U.S. stocks closed with gains. The Dow Jones industrial average rose 100 points and the S&P 500 and Nasdaq were both up by 0.8%.